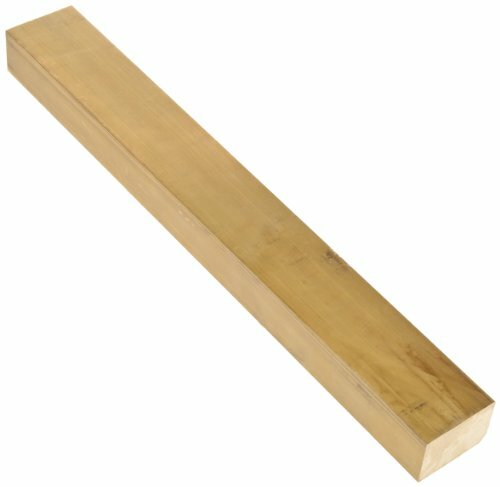 Online Metal Supply C954 Bronze Flat Bar, 0.437" x 2" x 12"
The 385 brass rectangular bar with H02 temper is unpolished, meets American Society for Testing and Materials International ASTM B455 specifications, and has a standard tolerance. The 385 brass alloy, also known as free-cutting or architectural brass, provides corrosion resistance and high machinability due to its high lead content. The material has an H02 temper, meaning it has been cold worked to a 1/2 hard temper. The most popular of the aluminum bronze alloys, C954 Aluminum Bronze provides high tensile and yield strength, good ductility, weldability and machinability, excellent resistance to wear, fatigue and deformation under shock and load while maintaining excellent corrosion resistant properties. 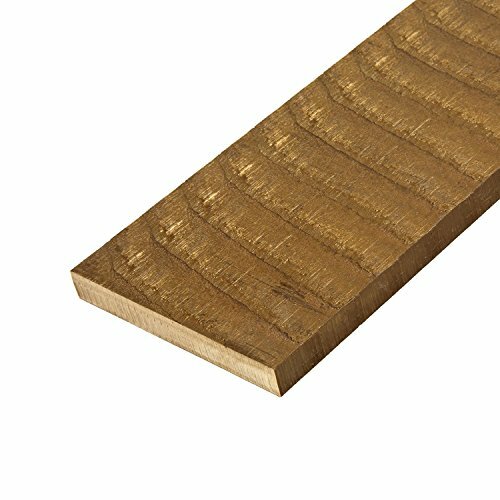 Material: Bronze Shape: Flat Bar Alloy: C954 Thickness: 0.437" Width: 2" Length: 12" Finish: As Cast Notes: Product dimensions is produced oversized to finish to listed size. The 954 bronze rectangular bar is cast and unpolished, meets American Society for Testing and Materials International ASTM B505, and has an oversized tolerance. The 954 bronze alloy, also known as aluminum bronze, has better wear resistance than 932 bronze. The material has been liquefied and poured into a mold, then cooled to create the shape. Online Metal Supply C954 Bronze Flat Bar, 0.437" x 2" x 36"
The most popular of the aluminum bronze alloys, C954 Aluminum Bronze provides high tensile and yield strength, good ductility, weldability and machinability, excellent resistance to wear, fatigue and deformation under shock and load while maintaining excellent corrosion resistant properties. Material: Bronze Shape: Flat Bar Alloy: C954 Thickness: 0.437" Width: 2" Length: 36" Finish: As Cast Notes: Product dimensions is produced oversized to finish to listed size. Online Metal Supply C954 Bronze Flat Bar, 0.437" x 2" x 48"
The most popular of the aluminum bronze alloys, C954 Aluminum Bronze provides high tensile and yield strength, good ductility, weldability and machinability, excellent resistance to wear, fatigue and deformation under shock and load while maintaining excellent corrosion resistant properties. Material: Bronze Shape: Flat Bar Alloy: C954 Thickness: 0.437" Width: 2" Length: 48" Finish: As Cast Notes: Product dimensions is produced oversized to finish to listed size. Online Metal Supply C954 Bronze Flat Bar, 0.437" x 2" x 24"
The most popular of the aluminum bronze alloys, C954 Aluminum Bronze provides high tensile and yield strength, good ductility, weldability and machinability, excellent resistance to wear, fatigue and deformation under shock and load while maintaining excellent corrosion resistant properties. Material: Bronze Shape: Flat Bar Alloy: C954 Thickness: 0.437" Width: 2" Length: 24" Finish: As Cast Notes: Product dimensions is produced oversized to finish to listed size. Online Metal Supply C954 Aluminum BronzeRectangle Bar, 1" x 4" x 20"
The most popular of the aluminum bronze alloys, C954 Aluminum Bronze provides high tensile and yield strength, good ductility, weldability and machinability, excellent resistance to wear, fatigue and deformation under shock and load while maintaing excellent corrosion resistant properties. Material: Bronze Alloy: C954 Shape: Flat Bar Thickness: 1.000 (1 inch) Width: 4.000 (4 inch) Length: 20 inches Finish: Unpolished (Mill) Notes: Oversized to allow for finishing to listed size. Material is oversized to allow for finishing to listed size. Aluminum Silicon Bronze C64200 HR50 1.500" Dia. X 24.000"
Aluminum Silicon Bronze C64200 consists mainly of Aluminum, Copper and Silicon, with less than 1% Tin. C64200 has exceptional wear-resistant properties and offers an unusual flexibility of services to industries such as marine, hardware, pole line hardware, valve seals, valve stems and gears. SYMMCO - SCS-1832-6 - 2-1/4" ID x 4" OD x 6-1/2" Long, 841 Sintered Bronze Oil Impregnated Cored Bar Stock. Complies with RoHS restrictions on the use of certain hazardous substances in electrical and electronic equipment. SYMMCO - SCS-1824-6 - 2-1/4" ID x 3" OD x 6-1/2" Long, 841 Sintered Bronze Oil Impregnated Cored Bar Stock. Complies with RoHS restrictions on the use of certain hazardous substances in electrical and electronic equipment. 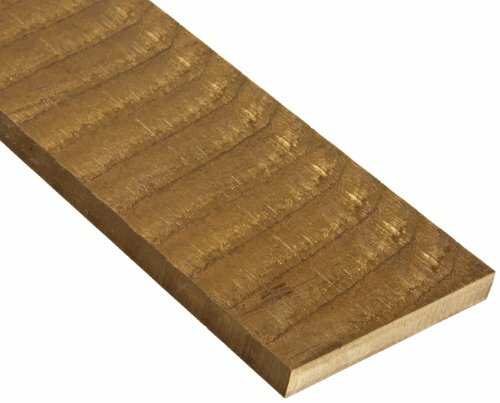 SYMMCO - SCS-1626-6 - 2" ID x 3-1/4" OD x 6-1/2" Long, 841 Sintered Bronze Oil Impregnated Cored Bar Stock. Complies with RoHS restrictions on the use of certain hazardous substances in electrical and electronic equipment. 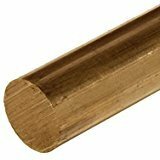 SYMMCO - SCS-1420-6 - 1-3/4" ID x 2-1/2" OD x 6-1/2" Long, 841 Sintered Bronze Oil Impregnated Cored Bar Stock. Complies with RoHS restrictions on the use of certain hazardous substances in electrical and electronic equipment.